Stay connected to get quarterly farm updates, recipes, and early access to new products and weekly specials! 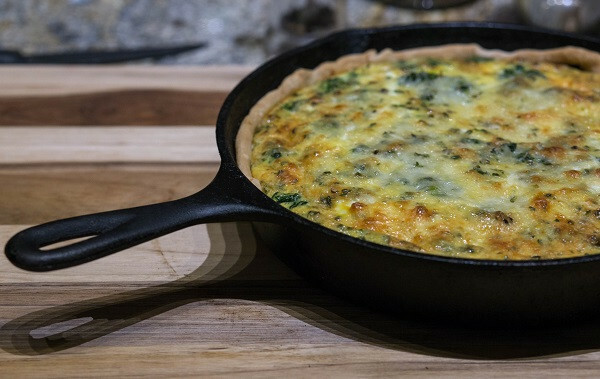 A great quiche recipe utilizing Covey Rise Farms fresh pastured eggs. Great to use during the hectic holiday season and is just as good reheated. Preheat oven to 375 degree's. Unroll and fit pie crust into pie pan (I prefer using a cast iron skillet). 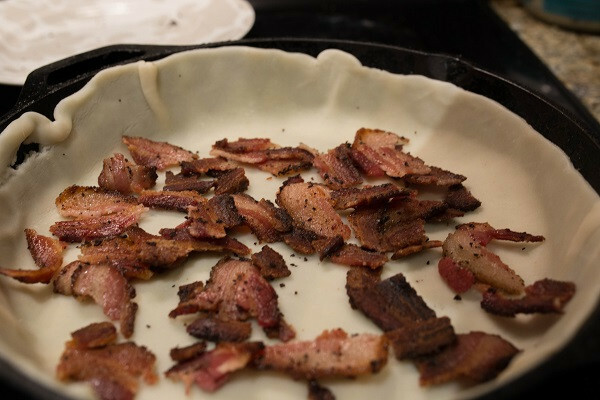 Layer your bacon, spinach, and cheese into your pie crust. In a separate bowl mix your eggs, cream, herbs, salt, and pepper. 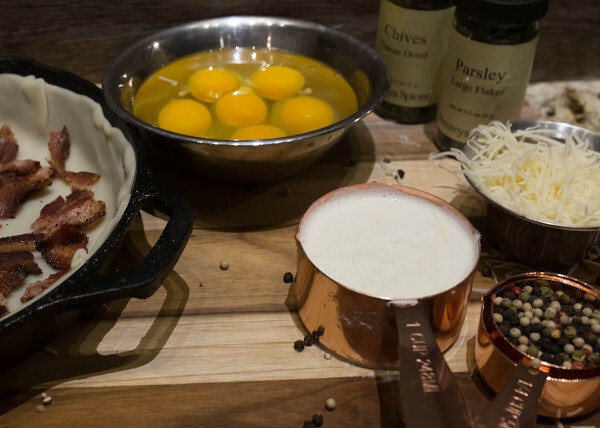 Once beaten, pour the egg mixture over your layered items in the pie crust and evenly distribute. Bake for 35-45 minutes or until eggs have set and top has turned golden brown. Let rest for 15 minutes or chill to reheat and serve later. Enjoy!